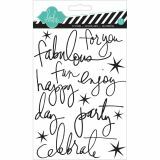 Buzz Words Epoxy Stickers - HEIDI SWAPP-Sugar Chic Collection: Buzz Words. Here, in Heidi's signature handwriting are a bunch of easy-to-use and super sticky Buzz-Words. 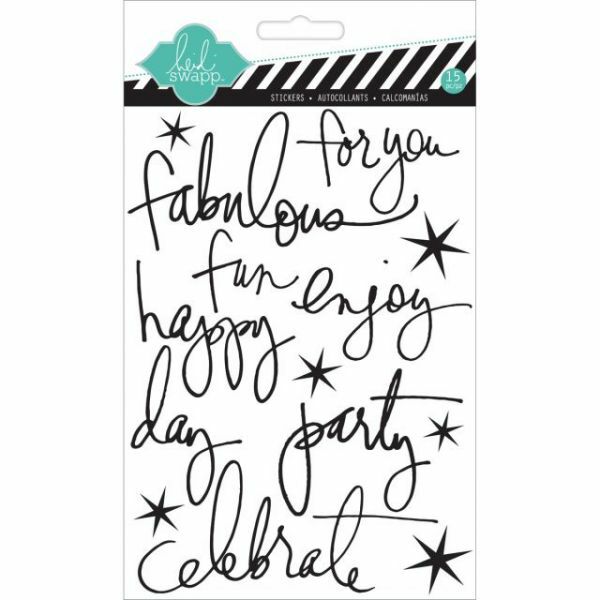 These high-energy, colorful, happy words will set the tone for scrapbook pages and card creations alike! Package contains one 7x5 inch sheet of 13 stickers. Acid and lignin free. Imported.